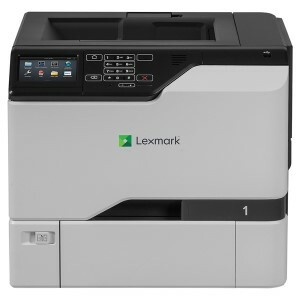 The Oki MC760dn A4 Colour Multifunction Laser Printer is an enterprise class printer designed to integrate easily into your document workflow. 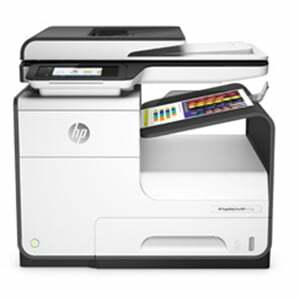 Print, Copy and Scan with this high speed ergonomic machine. With the use of Oki's smart Extendable Platform (sXP) the printer offers improved document workflow which is secure using the Secure Print job encryption. At 28 pages per minute in colour and mono and a flexible maximum paper capacity of up to 3160 sheets. Fast Scanning and copying can be done with the RADF for double sided scanning of documents. Navigation through the printer is easy using the 23cm backlit LCD touch screen. Fast scan speeds are achieved using High Definition LED scanning as well as scan to folder, scan to email and scan to USB memory. Reduce your impact on the environment by using the duplex functionality to print, copy and scan to reduce paper usage. High Capacity toners also help to reduce the impact on the environment.